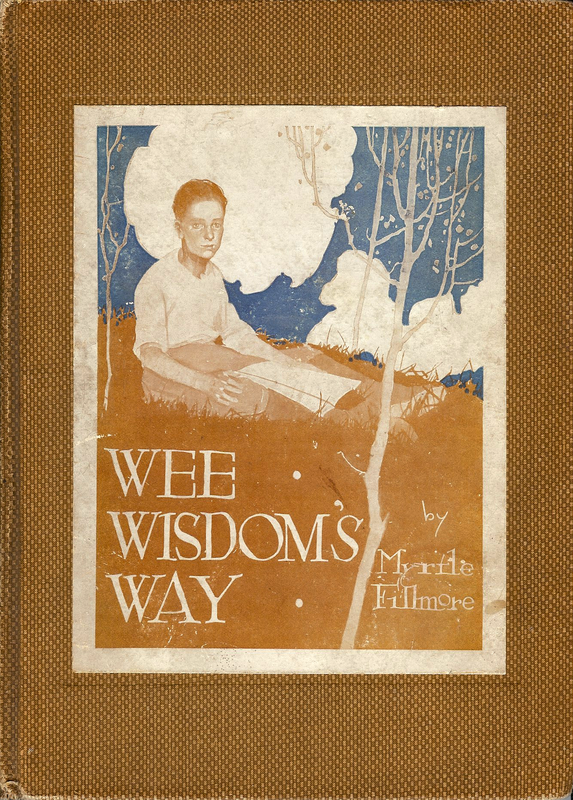 What's new today (June 3, 2013) is that the text and illustrations from Myrtle Fillmore's Wee Wisdom's Way is now freely available on the Internet. After after 100 years the only book ever written by Unity's co-founder is now disseminating throughout the world. Hopefully, the text of this metaphysical treatise for the young at heart is now entering into the 21st century lexicon, into blog posts, into musical compositions and into the imagination of spiritual seekers everywhere. Each time you visit Wee Wisdom's Way and each time you forward the link to friends and fellow Unity congregants you tell Google that Myrtle's classic message is important. Mom's, Dads, Grandparents, Aunts and Uncles: you can download the PDF copy of this 1914 edition, run it off on a color printer and read it with the kids. In these sixteen 3-5 page chapters, you have Myrtle's teachings, conveyed as she wanted. This is your summer reading. But, as I will explain below, what she says is not just for kids. Unity singer-songwriters: this is your chance to compose a tune and cut an MP3 containing Myrtle's own lullaby (p.83), her rendition of a 1914 advertising jingle (p.89) or her composition about a near-death experience (pp.94-95). If you cut it, I'll publicize it here. All you grown-ups who have advanced beyond the god delusion: here Myrtle takes on people with hardened hearts (pp.35-45), preachers who think we're too sinful to be expressions of Christ (pp.51-54), those who are melancholy and filled with sadness (pp.58-68), doctors who laugh at spiritual healing (pp.69-71) and academic materialists (pp89-93). She also praises those who do the work of helping others (pp.72-76), those who will look at religion in an honest and open way (pp.77-80) and those who freely share Truth as they know it (pp. 81-86). Myrtle and Charles fans: Chapter Four, The Lesson of the Vine, tells the story of the healing of Ned's lame leg, which is probably a thinly disguised version of her own healing experience and of what she probably conveyed to Charles in a lifetime of private conversation. 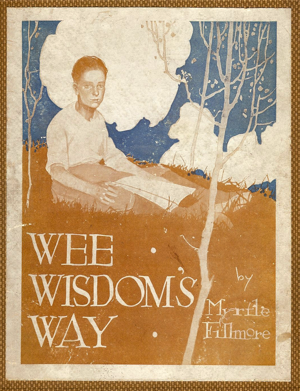 Download a PDF copy of the 1914 edition Wee Wisdom's Way for printing and reading with your kids and grandkids. 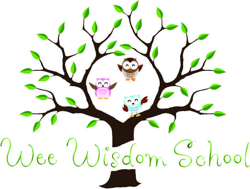 Download a high resolution image of Wee Wisdom's Way book cover for your Sunday service bulletin. The spirit of Myrtle Fillmore and Wee Wisdom is alive and well today at Wee Wisdom School, in Austin, Texas, located at Unity Church of the Hills.